above the door; pictured with Alice I assume is daughter Ellen Jane. The Grey Horse Inn first appears on census records in 1871 although the first recorded tenant, a Richard Halliwell was living there in 1861 too but at that time was recorded as a Railway Labourer. 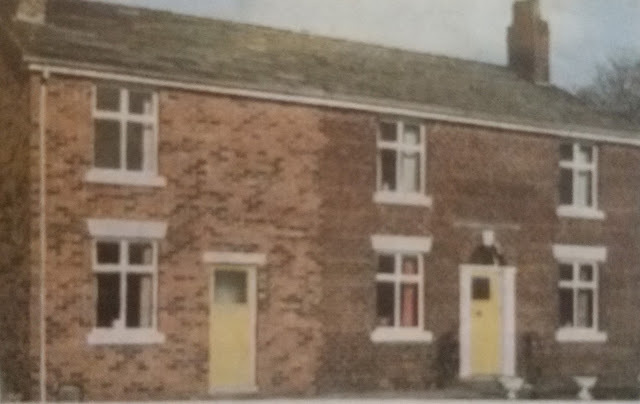 The building is no longer standing but was located in School Lane Euxton close to the National School and near the railway crossing, which was the middle of three on the line through Euxton and was no doubt a rich source of trade for the beerhouse. 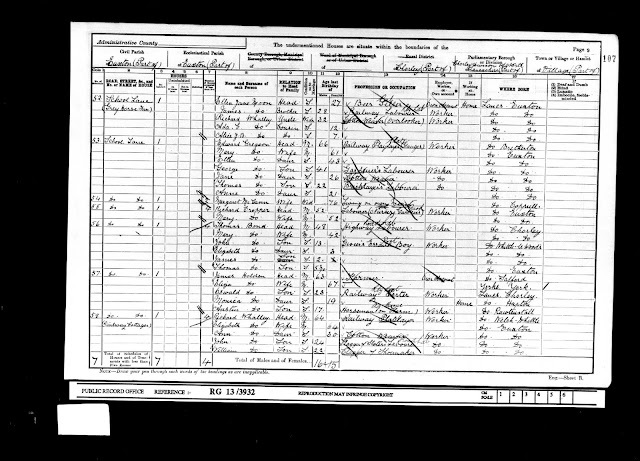 Listed landlords were Richard Halliwell (1871), Henry Rigby (1876), Henry Moon (1881), Alice Jane Moon (1891-1900) and Ellen Jane Moon (1900-12). 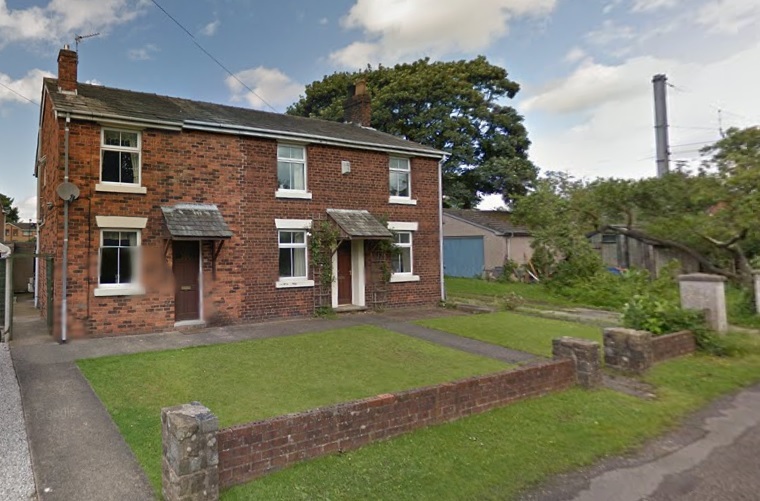 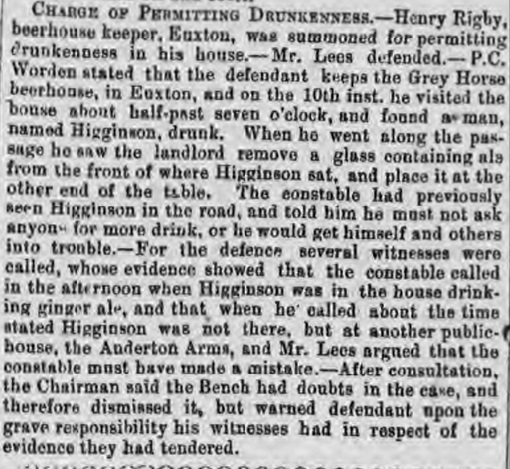 An Assessment for the Relief of the Poor of the Township of Euxton, Lancashire made 4th October 1880 showed the landlord to be Henry Moon and the owner, a Richard Halliwell (heirs) - Beer House on School Lane. 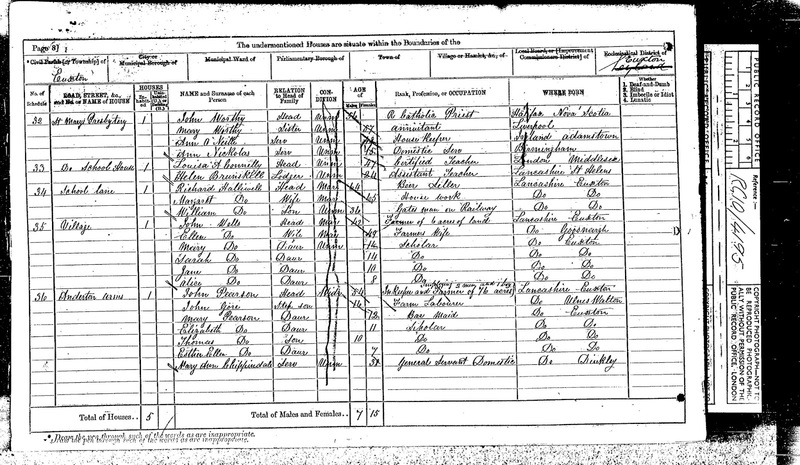 Rate for Special Expenses Assessment made 13th October 1897 on the Township of Euxton, Lancashire showed the landlord as Alice Jane Moon and the owners to be the London and North Western Railway Company - Beer House located on School Lane. 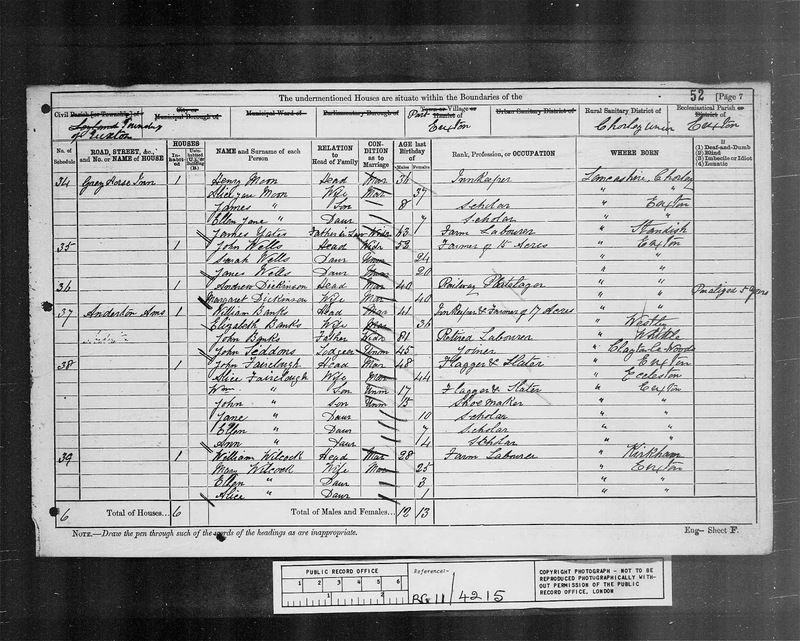 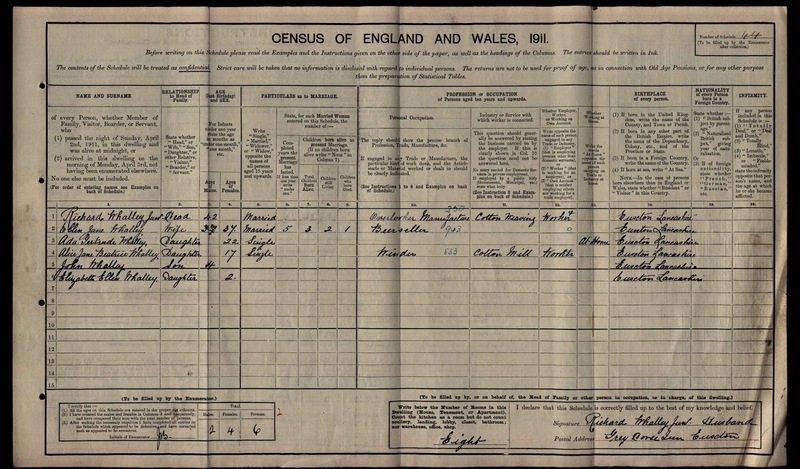 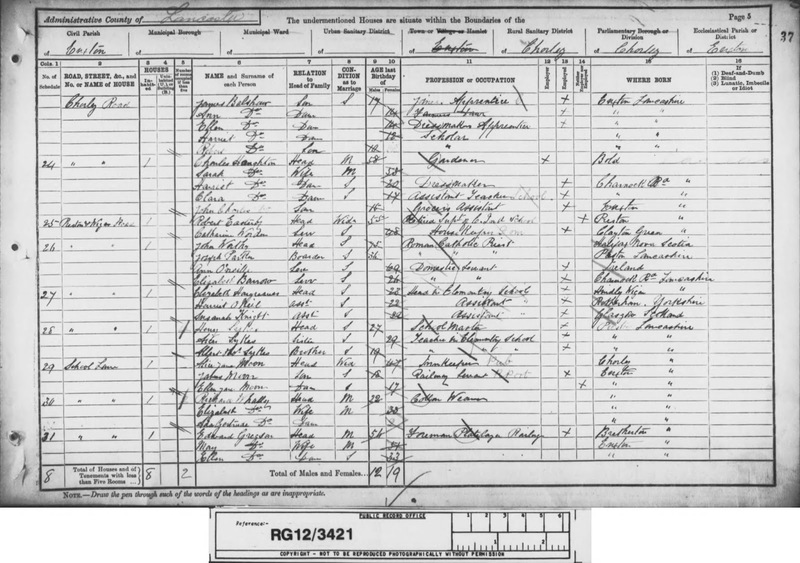 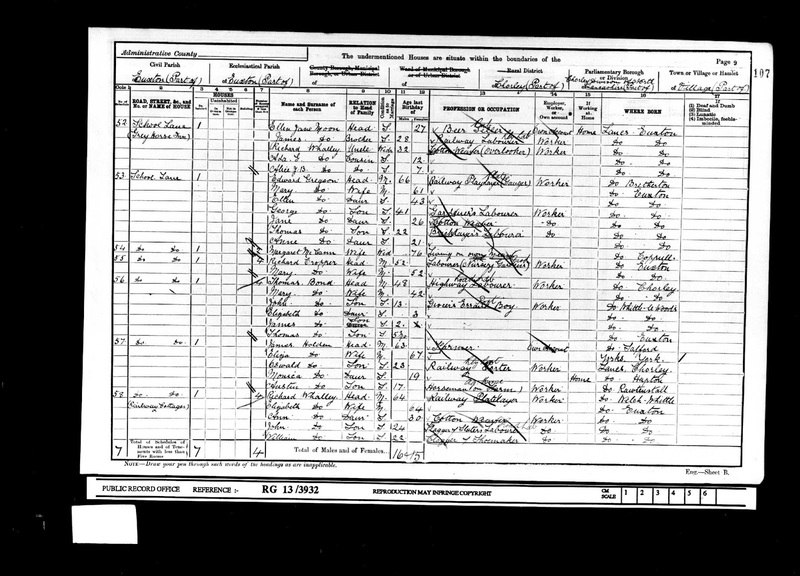 By the time of the 1901 census Alice and Henry's daughter Ellen Jane Moon was running the beer house and by the 1911 she had married a Richard Whalley but were still at the Grey Horse (see below). 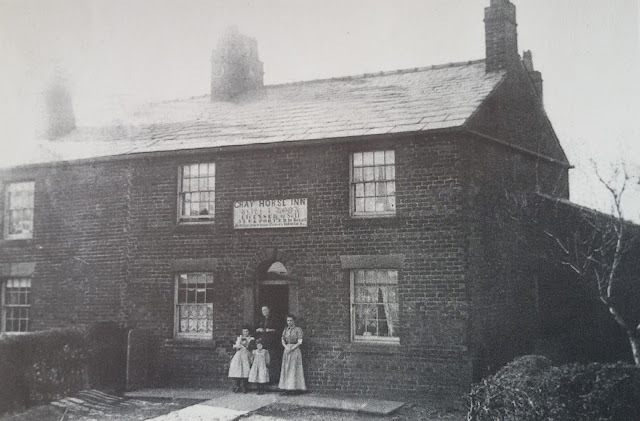 An Assessment for the Poor Rate for the Township of Euxton made 18th October 1910 recorded a change landlord to Ellen Jane Whalley; the premises was still owned by the London and North Western Railway Company. 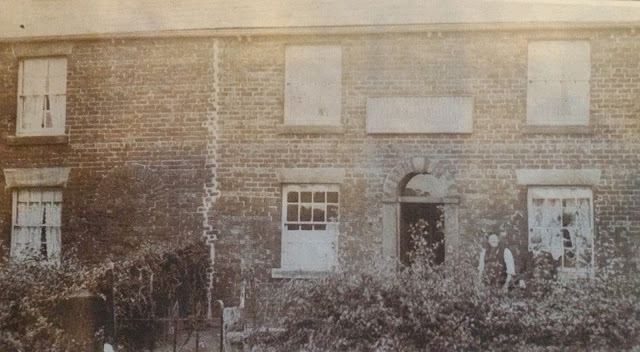 Local records show that the Grey Horse Inn reverted to a private residence in 1912 soon after the last census after business was affected by the building of an under pass to the slow line.